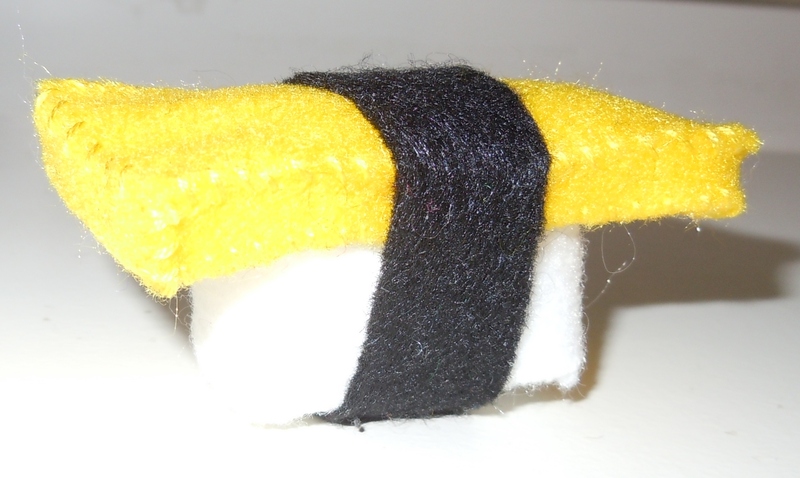 Who knew that sushi made from felt could look so cute and tasty? 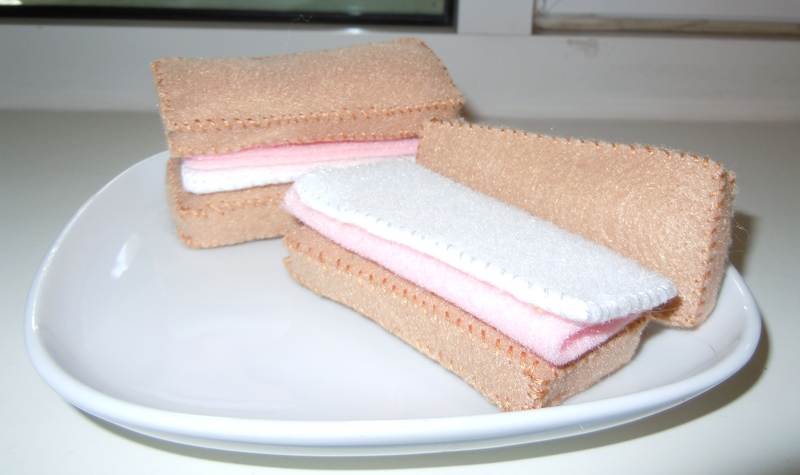 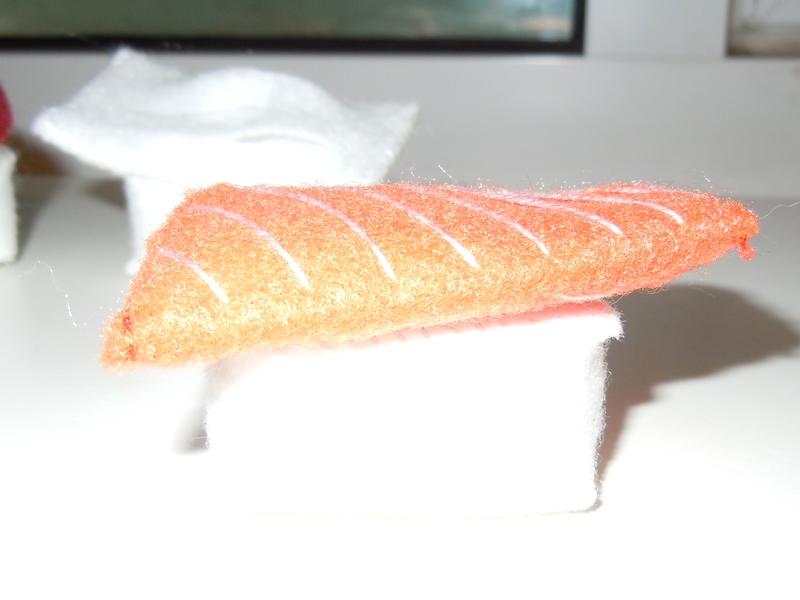 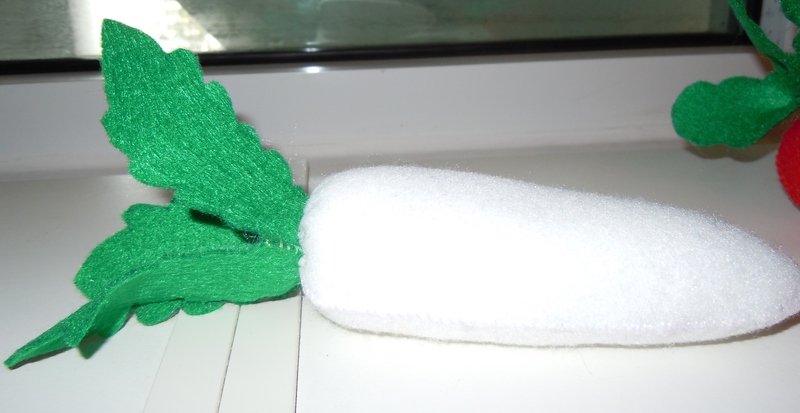 This “sushi” is made from craft felt and polyfill stuffing. 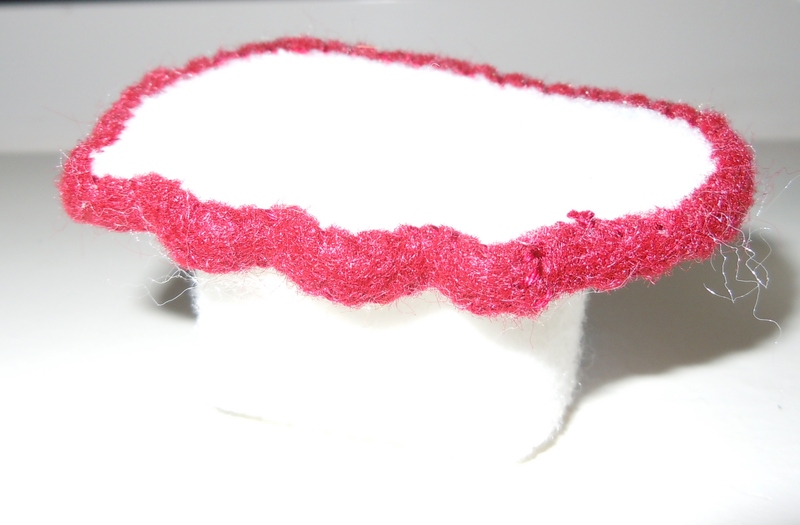 Felt patterns are available for purchase from Ume Crafts (http://www.artfire.com/ext/shop/home/umecrafts). 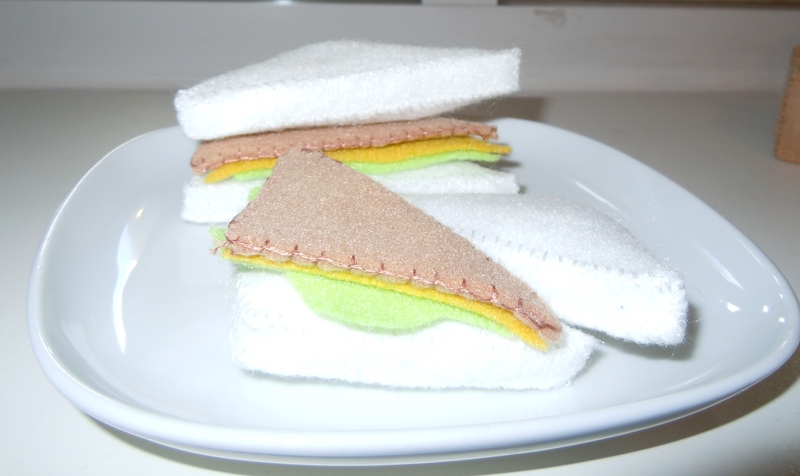 Sometimes food doesn’t have to be edible to be amazing. 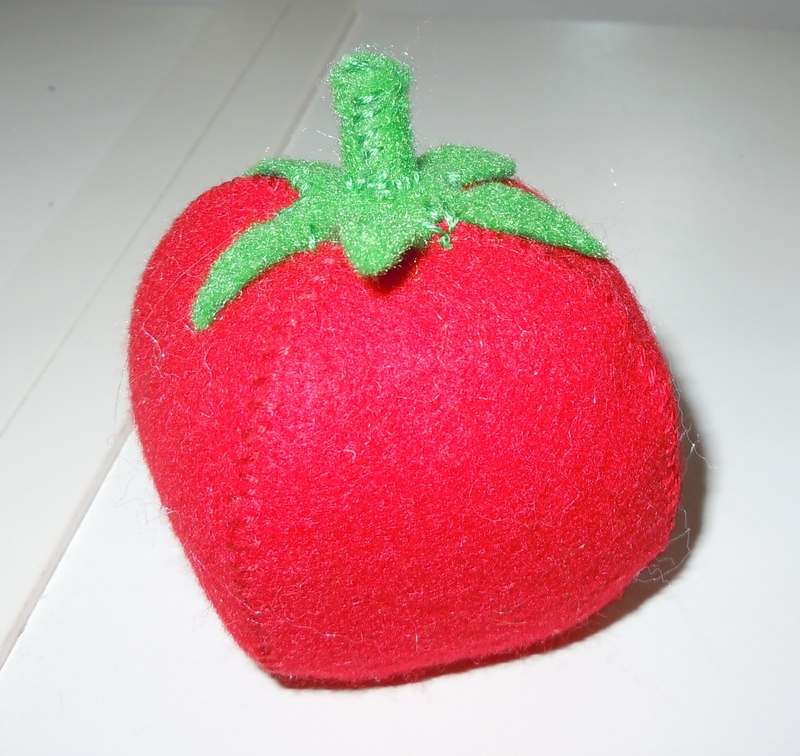 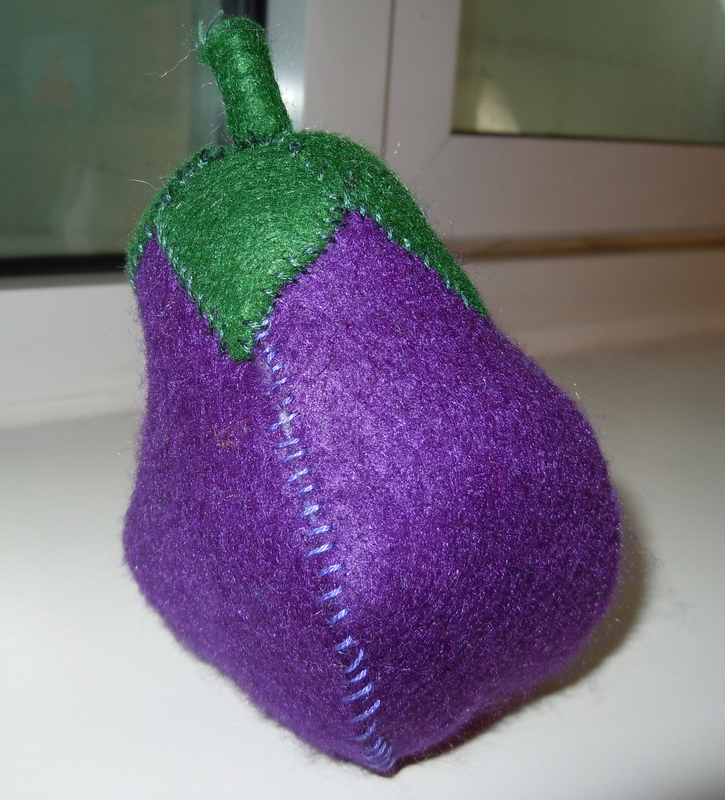 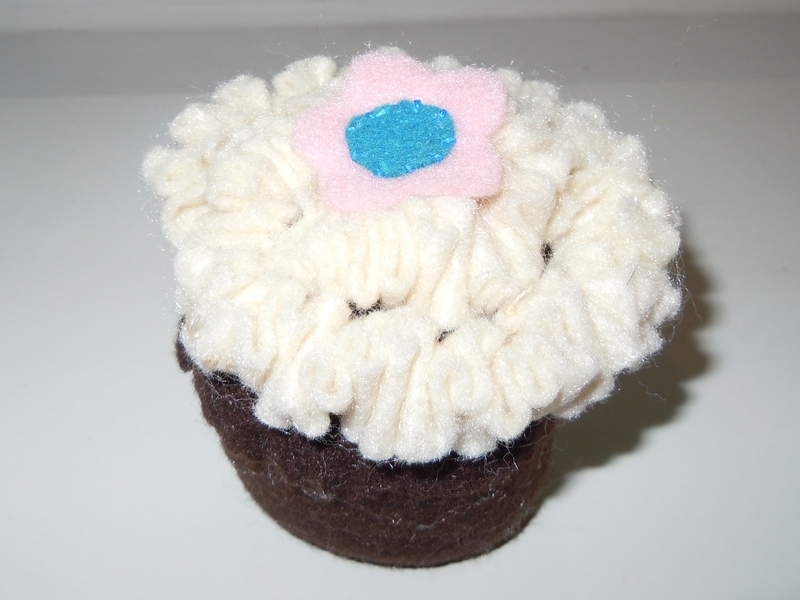 Ume Crafts (http://www.artfire.com/ext/shop/home/umecrafts) sells some adorable patterns for making food from felt. 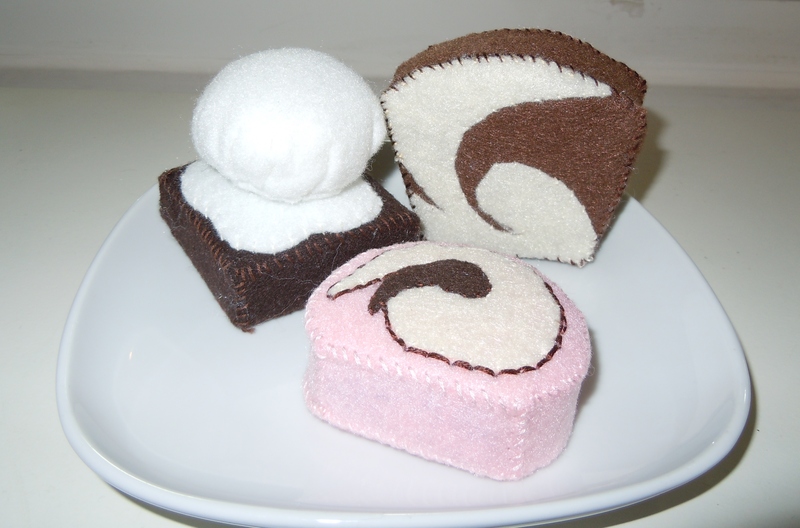 I made some sweets and and drinks for a play-time afternoon tea. 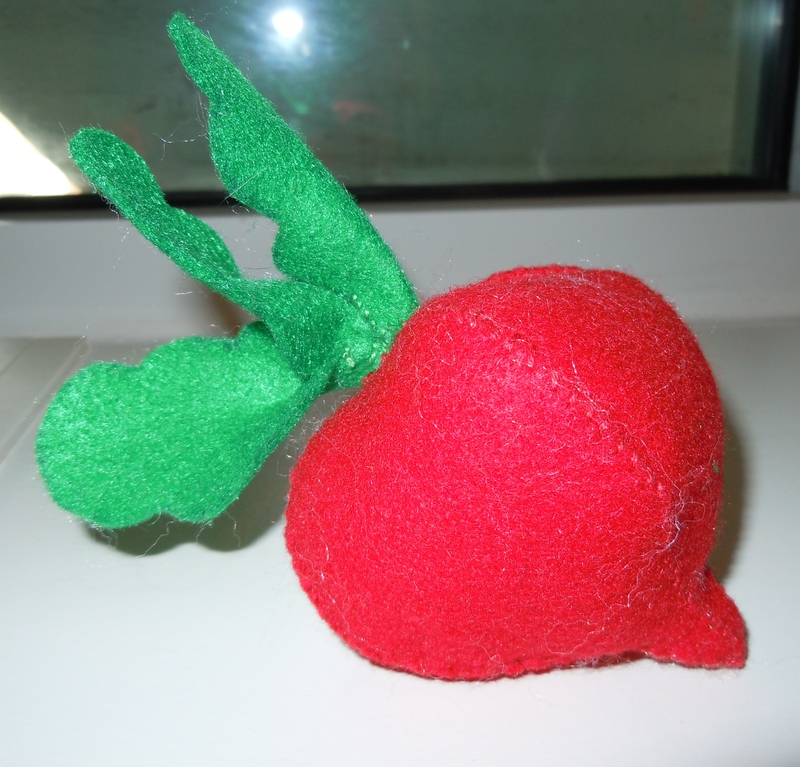 Everything was sewn by hand using every day craft felt and polyfill stuffing. 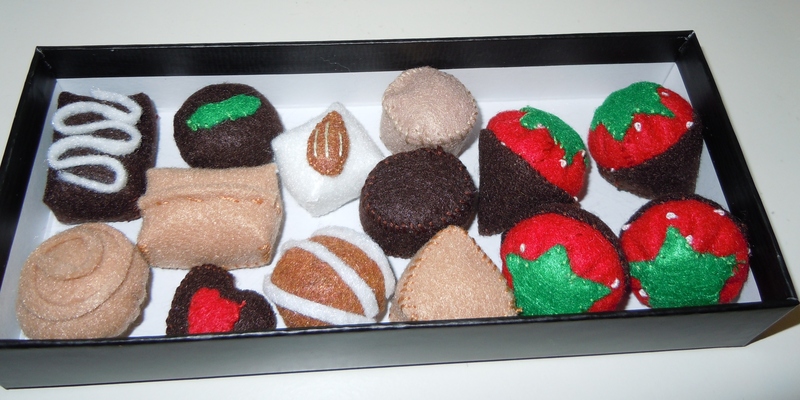 The patterns are quite detailed, and as you can see below, the coffee drinks are even topped with milk “foam” and the hot chocolate has mini marshmallows.